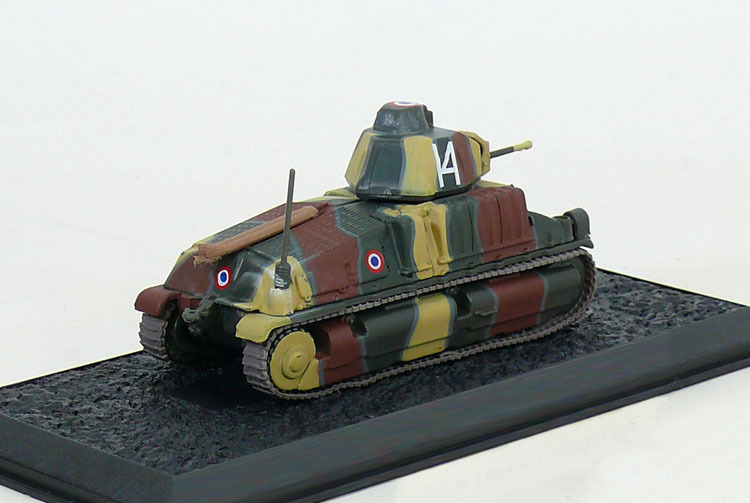 The SOMUA S35 was a French Cavalry tank of the Second World War. Built from 1936 until 1940 to equip the armoured divisions of the Cavalry, it was for its time a relatively agile medium-weight tank, superior in armour and armament to both its French and foreign competitors, such as the contemporary versions of the German Panzerkampfwagen III. It was constructed from well-sloped, mainly cast, armour sections, that however made it expensive to produce and time-consuming to maintain. During the German invasion of May 1940, the SOMUA S35 proved itself to be a tactically effective type, but this was negated by strategic mistakes in deploying its units. 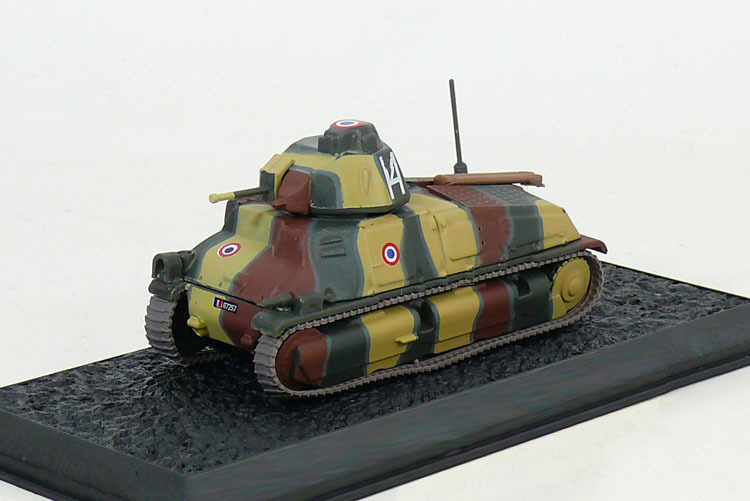 After the defeat of France in June 1940, limiting production to a number of 430, captured SOMUA S35s were used by the Axis powers. A derived type, the SOMUA S40, with an improved suspension, lowered hull cast and welded turret armour, had been planned to replace the original version on the production lines in July 1940.